You know you favorite cap is too old and dirty to put back on your head after you take a shower. We all have our favorite hats, but after a while you just have to let them go. We have you covered. Check out the ball cap with our Backcountry Adventures Fly Fishing Logo and the Brown Trout skin. You can get the cap (khaki or white; I recommend khaki for fishing) and it is available with or without the logo. 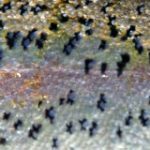 You can choose either the Rainbow Trout or the Brown Trout skin patterns. For the caps that don’t have our logo, I slightly rounded the corners of the trout skin patterns because I think it looks better on a hat. I love catching trout and I love examining and comparing their color patterns. These trout skin patterns are high resolution images taken from fish we caught. How about having a morning cup of coffee or hot chocolate while looking at your favorite trout species? The first cup shows the Brown Trout Skin with our Fly fishing Guide Service Logo. 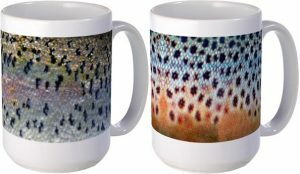 The 2nd cup (below) shows only the Rainbow Trout Skin and the Third Cup shows only the Brown Trout Skin. These large 15 oz./ cups have real full-fisted handles. You won’t have to drink your coffee with extended pinky with these cups. 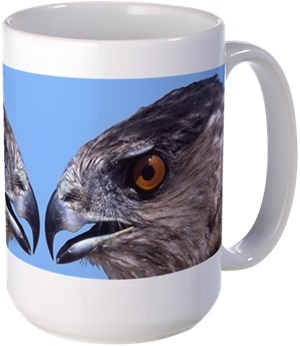 I’ve had several of these cups for over 8 years now (see Cooper’s Hawk Cup below) and the images still look great. If you don’t have the T-shirt, nobody will believe you went anywhere or did anything. But you can get our T-shirts or sweatshirts and we won’t tell on you even it you haven’t fished with us yet. Shirts are available with our Fishing Guide Service Logo, the Brown Trout Skin or the Rainbow Trout Skin. Shirts can be available with the images on the front or the back and are available in short sleeve, long sleeve, sweat shirt or hooded sweatshirt and come in both men, women and in children’s sizes. If you don’t see what you want, send me a message in the comments section below and I will the image to the item you want. I have always been satisfied when I uploaded my own designs as a customer, so when others started asking where they could get them, I set up a “store” at Cafe Press. 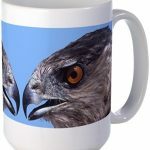 These items are great gifts for anyone that likes unique fish and wildlife images. Learn more about fishing Utah’s Provo River with us ( Backcountry Adventures Fly Fishing). In a previous life, I spent most of my time doing research on Birds of Prey. 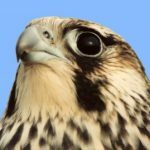 I also spent some time training raptors for falconry and hunting with them. I put a few of my favorite images I collected over the years on cups, hats and shirts for my personal use. 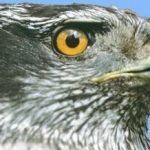 One of the first images I used was the “face to face” image of an Adult Cooper’s Hawk I caught during fall migration on a Utah mountain ridge. I have been using this cup for at least eight years. When friends (especially raptorphiles) see it, they want to know where they could get one. Now, they are available. Another favorite of mine is an immature Peregrine Falcon that was caught during Fall Migration on North Carolina’s Outer Banks. 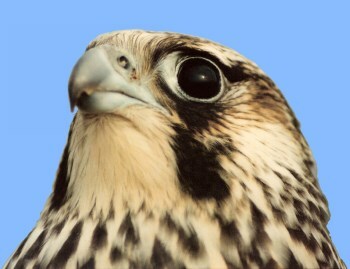 The extremely light color of this bird is typical of Tundra Falcons. This bird probably hatched in Greenland.